PS: If you like the script please share it with others. Preview Function - Now you can see the full post inside gReader (similar functionality to Google preview enhanced which broke with the gReader redesign). It works by clicking the preview link as well as using the keystroke SHIFT+V. It also manages the number of IFRAMES created to keep memory usage reasonable. This will be a short post. I may write something later commenting on the bad design choices I see Google making. 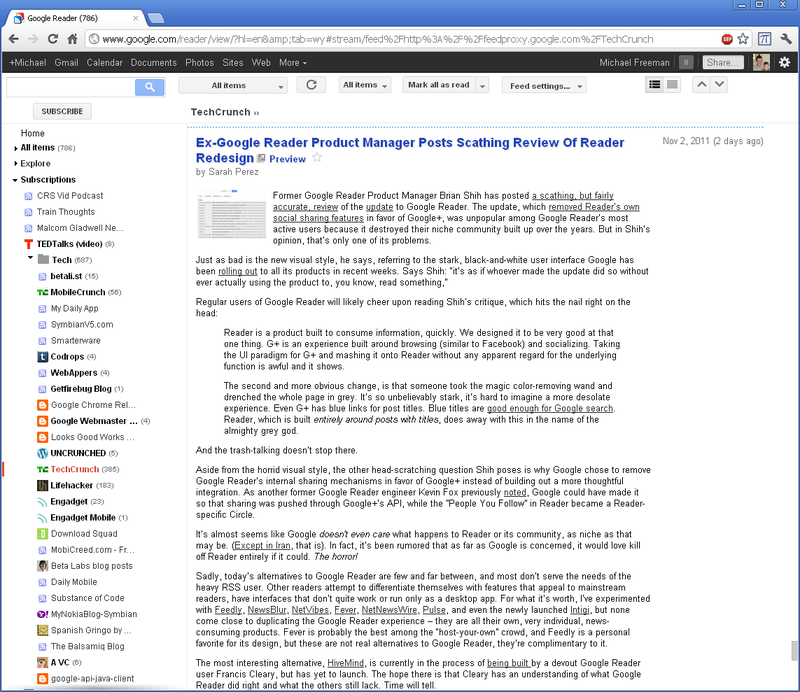 I have a hard time believing that they have solid data supporting these changes to the UI of various sites, especially Google Reader. As a daily user this change has been a step backwards in a big way in the name of "unity". Here are the links. 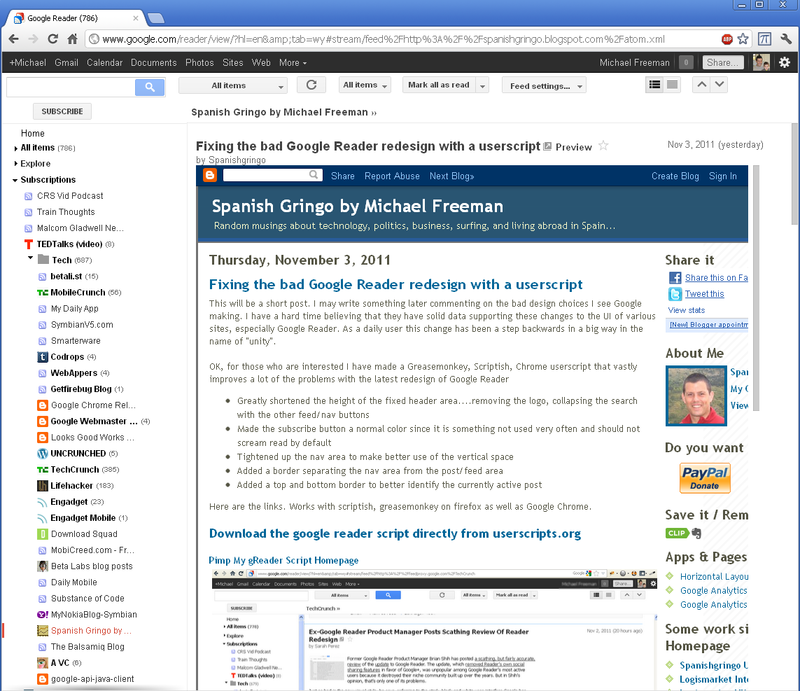 Works with scriptish, greasemonkey on firefox as well as Google Chrome. 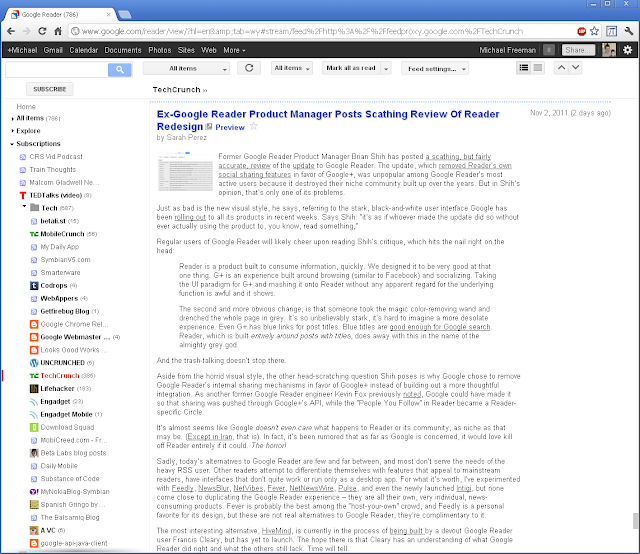 If no one else does it soon, to fix the script that allows for full post previews in Google Reader that broke with the redesign. It was part of BetterGReader and I hope someone will fix that soon. Otherwise, I'll add it to this script.